Attention: Registration is now open for the 2019-2020 District 5830 Training Assembly that will be held April 6, 2019 at the Mt. Pleasant Independent School District Administration Building, 2230 North Edwards, Mt. Pleasant, Texas. Mitty Chang is our Keynote Speaker and will also chair a panel discussion on engaging new members. Mitty Chang is a Motivational and Inspirational Speaker specializing in how to attract Millennials into organizations. Mitty has delivered speeches to audiences in Canada, Thailand, Portugal, Brazil, Australia, and throughout the USA. Mitty is one of the most sought after young speakers in the Rotary world. He has spoken to Rotarians around the world at District Conferences, International Conventions, International Assemblies, and Zone Institutes on how to attract young professionals into Rotary. 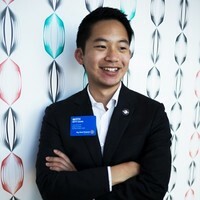 He joined the Rotary family as a Interactor and has chartered two Rotaract Clubs, one at the University of California and one at Fremont, California and has served as President of the Rotary e-Club of Silicon Valley, California. An agenda of all the training topics is posted on the District 5830 Website. For Rotarians attending the District Training a special rate of $79 for a room with a king bed or 2 queen beds. The code is simply 'Rotary'. You do not want to miss this important training!